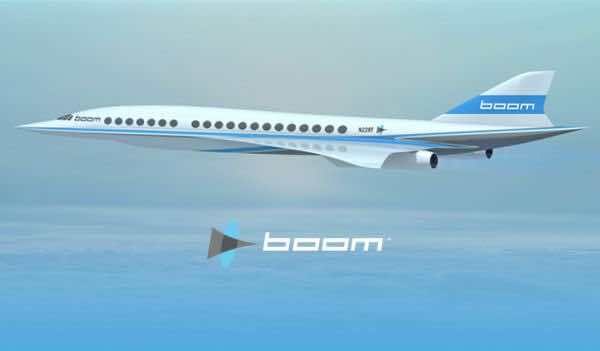 San Francisco, CA & Denver, CO – Denver-based Boom Technology is leveraging Rescale’s cloud-based simulation and optimization system to enable a rebirth of supersonic passenger travel. Boom’s aircraft is faster than Concorde yet dramatically more efficient and affordable. Concorde was designed 50 years ago, in an era when aerodynamic optimization required painstaking wind tunnel testing, with each iteration costing millions and taking months. Today, modern computational fluid dynamics (CFD) simulations enable months of wind tunnel testing to be accomplished in minutes of simulation. Moreover, Rescale’s cloud-based platform enables Boom to access world-class CFD resources without the expenditures required for an on-premises computing cluster or the custom software development required by other cloud platforms. Boom chose to use Rescale’s HPC platform because they can access massive-scale computing resources while paying just for the results they need when they need them. Using Rescale’s cloud HPC platform, Boom is running computational fluid dynamics simulations of their aircraft and propulsion system. The results help Boom validate the overall cruise performance of the aircraft and confirm that the design meets fuel efficiency targets. Boom engineers are able to turn around CFD results on the airplane & inlet designs in hours—not months required by traditional wind tunnel testing. The average simulation runs on hundreds of cores. Building an internal large data center is a time consuming and expensive process. Rescale’s platform has saved Boom hundreds of thousands of dollars in server hardware costs. But even more importantly, Rescale has saved the time, resources, and expertise required to maintain an on-premise HPC and multidiscipline simulation software. For a supersonic company like Boom, the demand for compute resources is unpredictable. Engineering schedule and time to market are the business driver. There is always a need to simulate a new condition with results turned around quickly. The Rescale platform elasticity is a perfect fit for Boom variable demand. “Rescale’s cloud platform is a game-changer for engineering. It gives Boom computing resources comparable to building a large on premise HPC center. Rescale lets us move fast with minimal capital spending and resources overhead,” Joshua Krall, Co-founder & CTO. Boom is building their prototype aircraft now, which will fly by the end of 2017. Boom was founded on the philosophy that we need to overcome the challenges to supersonic passenger flight, not surrender to them. Our first product is a supersonic aircraft affordable for routine business travel. Our ultimate goal is routine supersonic flight for everyone. For more information, visit http://boom.aero.